Marimore team attended the conference and gave a few talk (lightning talk included) on various topics. 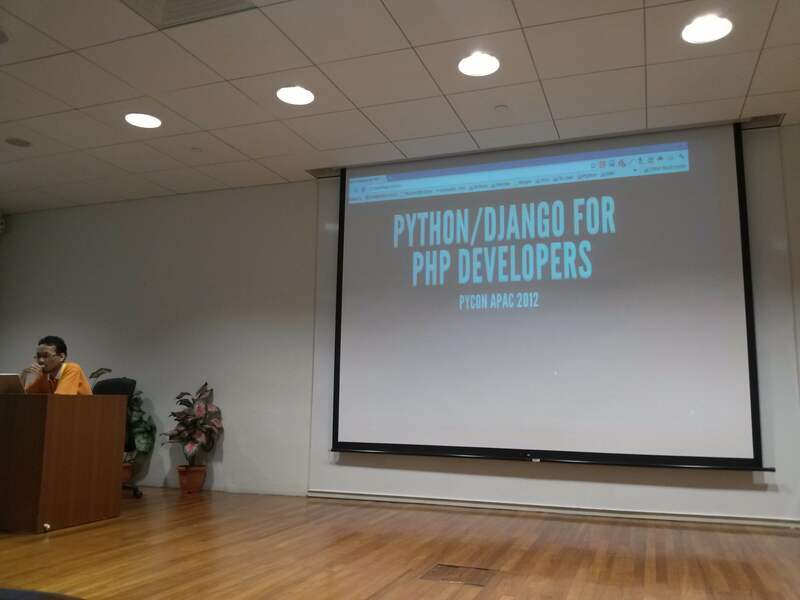 Kamal gave a talk titled Python/Django for PHP Developers which cause quite a stir among the attendees as two language should never be discussed in the same room. I gave a brief talk on HTML5 Polyfills. 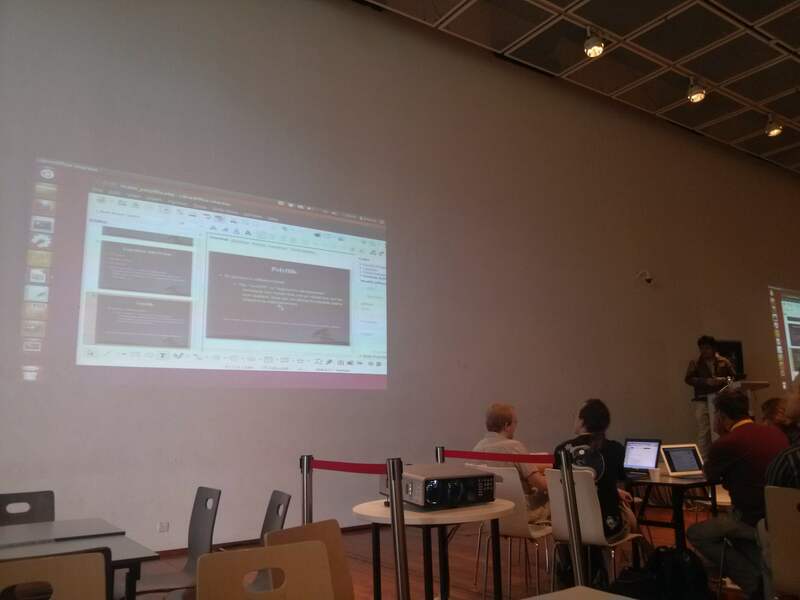 It is my first talk to a public audience accompanied by some difficulties with LibreOffice Impress (which does not seem to want to maximize to full screen). Nevertheless its quite an experience and there will always be a room for improvement. of the talks are great, but a few that really interest me is Diversity as a Dependency (Anna Ravenscroft), Relational Database Access with Python 'sans' ORM (Mark Rees). I've attended Mr Rees's talk on several occasions, MOSC 2009 and other MyOSS Meetup at Technology Park Malaysia, he's an excellent speaker and the topic he presents is kind of refreshing in a world where framework is abundant, going back to its roots, Python DB API. Diversity as a Dependency touched on a lot of psychological phenomenon on what makes a group of people outstanding. The barriers that we face in working as a group such as groupthink, conformity, anchoring and many more are mentioned and explained in detail by the speaker, Anna Ravenscroft. Overall the talks are great especially the keynotes, the food is nice and to top it off, the programming tournament is something that I have never experienced, as I have never been good at a very time constrained programming challenge, it was tough, me and several others only managed to solve 1 question in 10 minutes (1st place answers all 10 questions in that amount of time). Hopefully on the next PyCon, it could be better with more interesting topics and speakers, and more food delicious food of course.